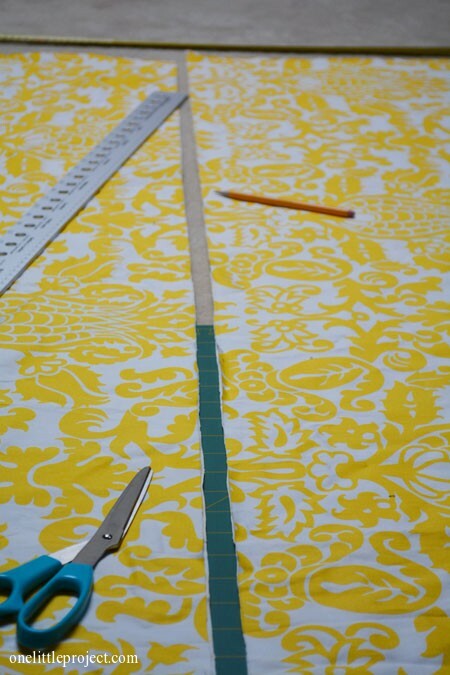 I have to admit, I have been really intimidated to make my own curtains. 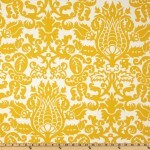 Remember when I bought the fabric for Kate’s curtains and I posted my review for Fabric.com? That was two months ago already! But better late than never, I suppose! 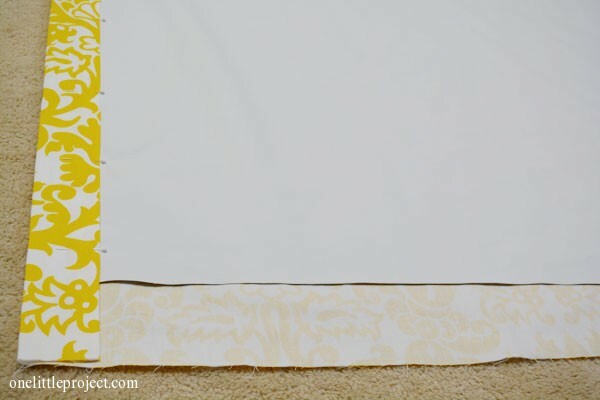 Finally, here is my tutorial for how to make blackout curtains. I’m not going to tell you I did it myself, because I really felt like I needed help with this project. 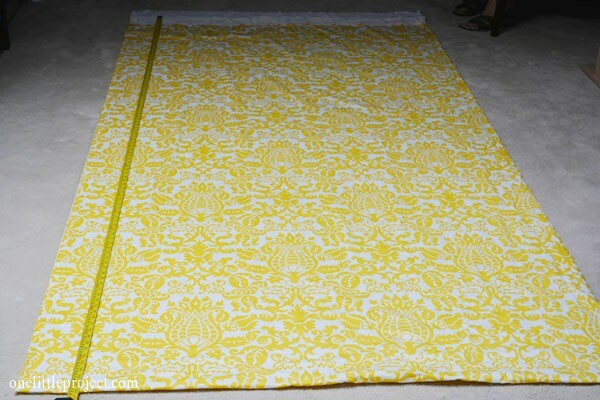 And when I go to make the curtains for Leah’s room, I will definitely need help again. It’s just way too hard to lay everything out and measure it perfectly all by yourself, so I definitely recommend getting a helper if at all possible. Being Mother’s Day, I had my own mother helping, my grandmother helping and my 3 year old “helping”. We probably didn’t need THAT many people, but it was a fun Mother’s Day activity that all 4 generations of women could enjoy together! 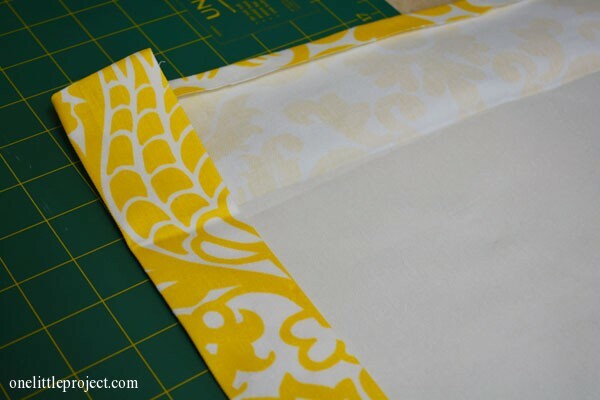 I bought 6 yards of Premier Prints Twill Amsterdam Corn Yellow and 6 yards of Roc-Lon Blackout Drapery Lining Ivory and I have enough left over to make a throw pillow. You can check out my Fabric.com review here (it’s written for Canada, but the details of it would apply to any country). 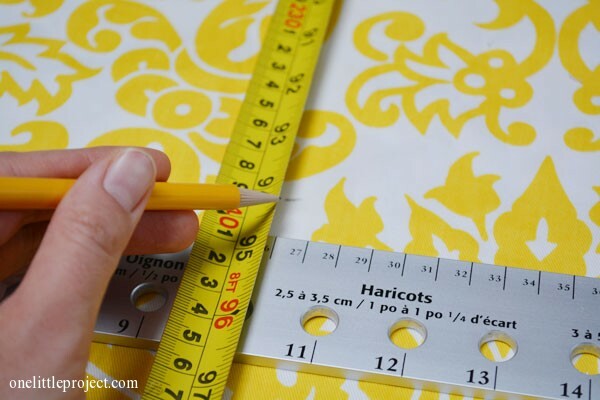 Measure from the curtain rod down to about 1″ above the floor to get an idea of what the finished length of the curtains will be. I had the fabric clipped on and hanging from the curtain rod since I got it (one side of it anyway, since I didn’t cut it until now!) 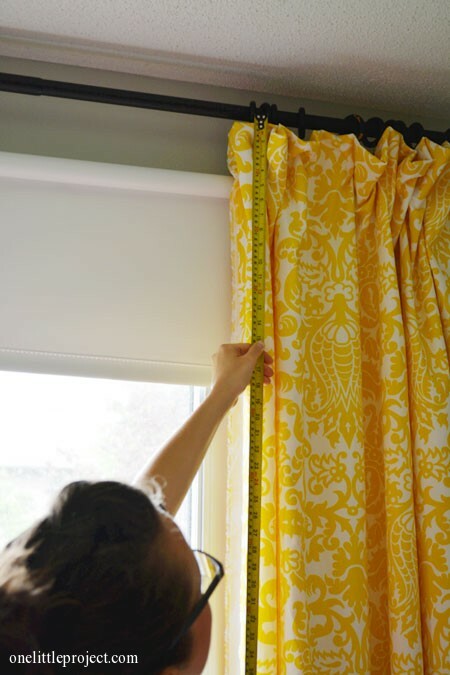 but you can just measure from the curtain rod to get the height. The length of mine was about 90″. 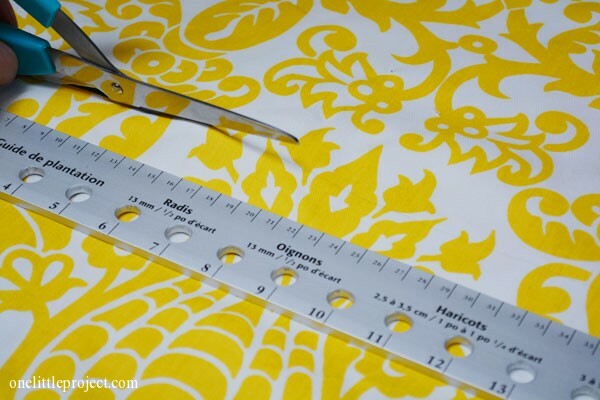 Lay the fabric flat on the floor and use a measuring tape to mark where you need to cut. 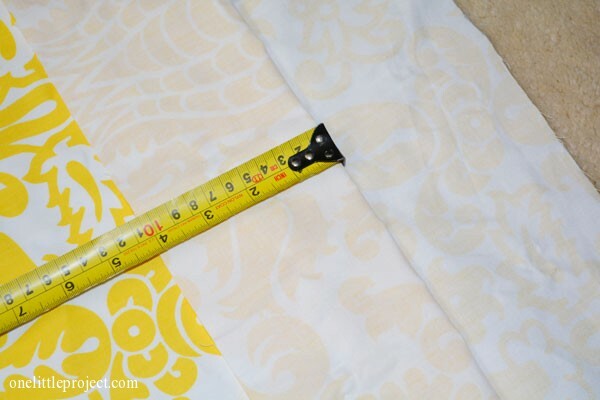 Add 4″ for the top hem and 3″ to 4″ for the bottom hem. So for mine, they were 90″ + 4″ + 4″ = 98″ long. 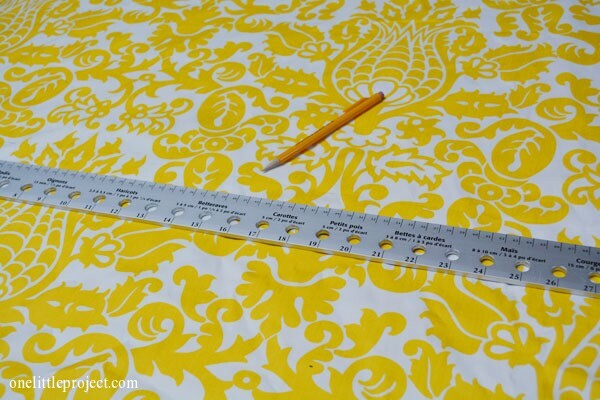 Keep in mind that if you have a patterned fabric you will probably want the patterns to line up. We didn’t consider this when we did our cutting and by shear luck they lined up, but that definitely won’t always be the case! 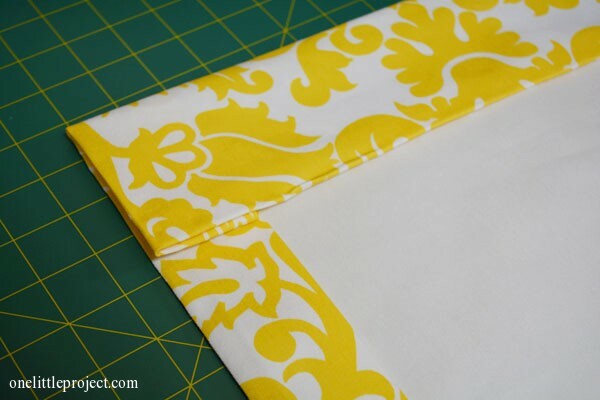 Again, I had my fabric folded in half, so I only had to make one cut through it. And when it was cut, it was 98″ long. 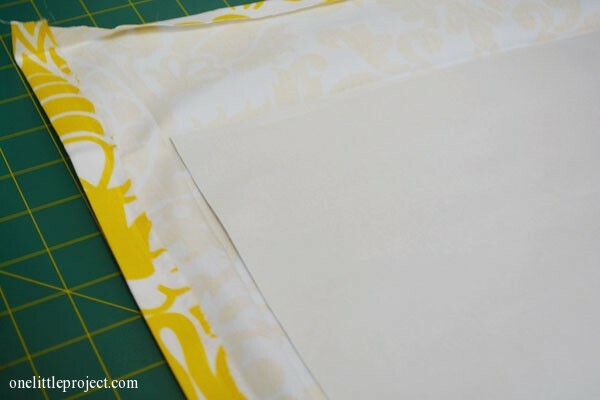 Set these pieces aside and pull out your blackout lining (or regular lining, depending on what you are making). 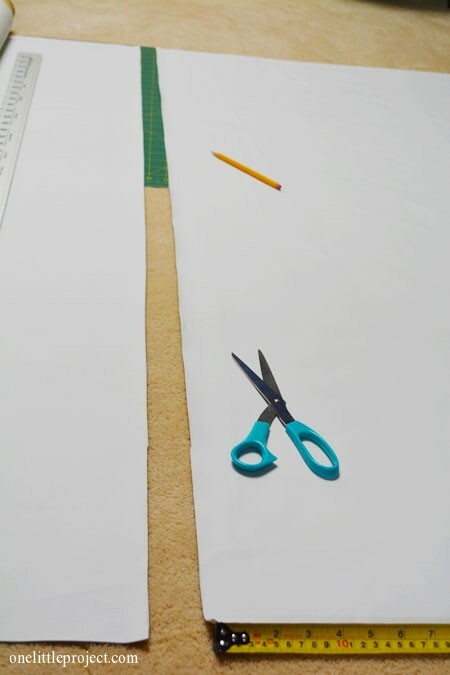 Repeat the measuring and cutting steps for the second piece of blackout lining. 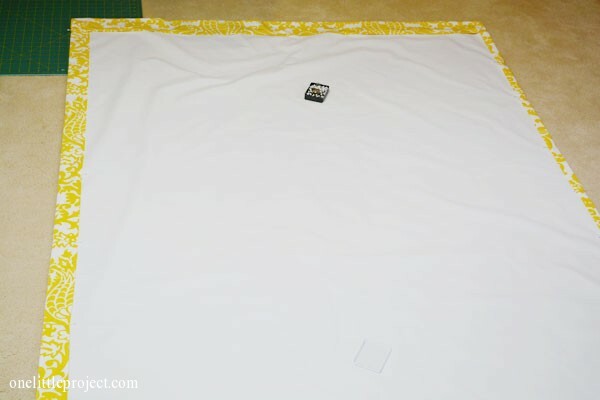 Then we folded over another 2″ and ironed again. This was only for the sides of the curtains where the panels met in the middle. 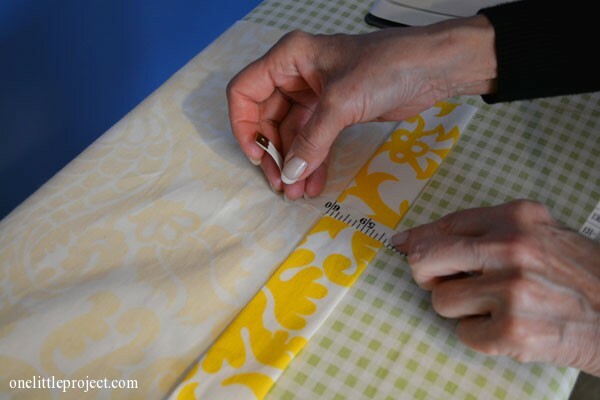 You have to do all of this measuring, cutting, ironing, pinning and sewing twice because you have two panels. It looks like a lot of work, but it’s really not that bad if you have someone helping you. Now, at this point, we were getting tired, so we stopped taking pictures. 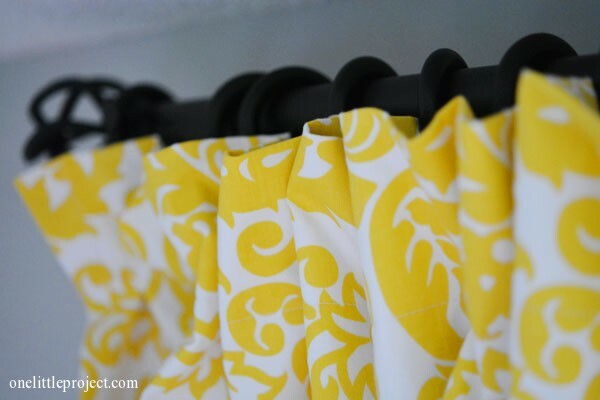 But all you have left to do is check the length of the curtains, and pin them to the proper length. 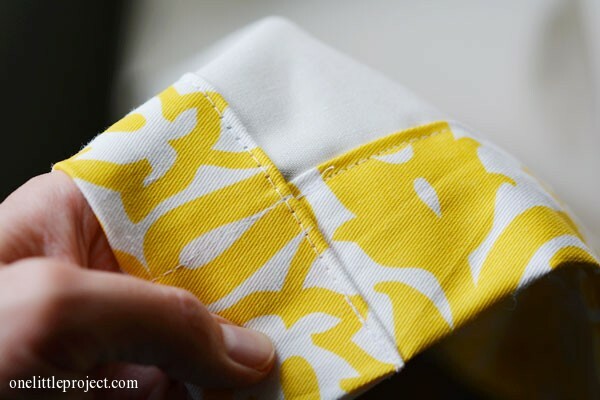 If you want, you can hand hem it, but it’s way easier to just take it down and run it through the sewing machine. So at this point the curtains are done! Phew! With 3 women working on this it took us about 4 hours total. This was a crazy long post, so you are just going to have to wait until the next post to see the rest of the photos of how they turned out! Very cute! 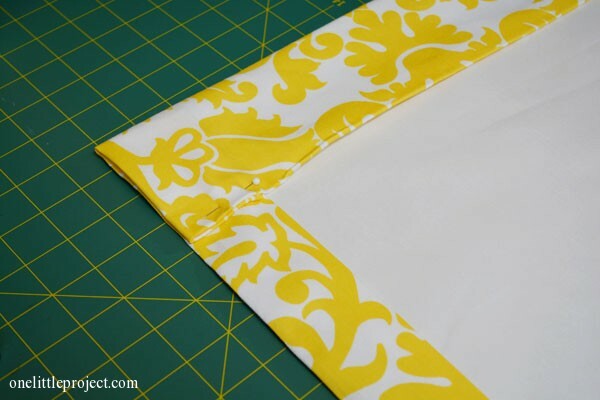 I don’t think I have the patience to make curtains… But they look awesome! I made black out curtains for my house last year, having no idea what I was doing and minimal sewing experience. I’m glad to see I did mine the same way you did yours. 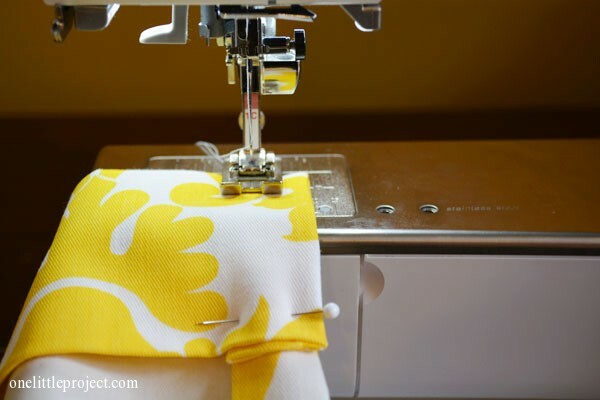 I love the yellow fabric. This is a great tutorial! Pinning this, because I know this will be helpful in the future! Wonderful tutorial. Very clear. 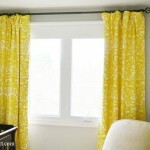 I like that the fabric you picked for the curtains is a bright color. Beautiful! Thanks! No sew doll clothes…. wow, that’s a tricky one! I’ll have to think about that! 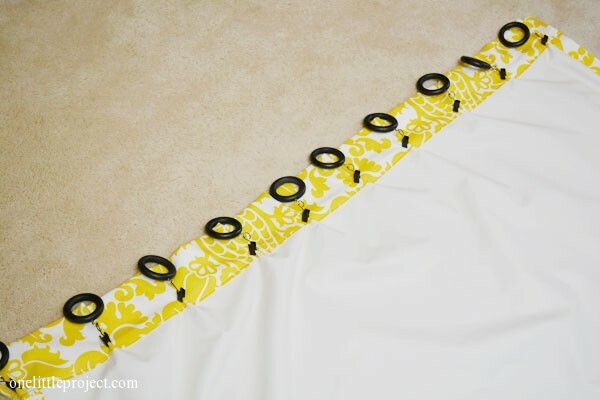 Thanks for sharing your great tutorial for blackout curtains at my Twirl & Take a Bow Party! Stop by House on the Way tomorrow to see them featured. Feel free to grab a “featured” button. This is a GREAT tutorial with lots of helpful photos. I need to tackle this project in the future for our guest room. Thanks for posting this! I am going to pin this for when I (finally) get around to that room. Thank you Debbie for creating this wonderful site. I just found it and I love your style and simplicity! The details of your project is encouraging for people to actually do some of these little projects! I am in the process of re-purposing many items that I would not have normally done…thank you! You’ve inspired me! Did you use a multi purpose thread or did you use a heavier thread for this? I just used regular thread. I’m not sure what kind exactly, but it definitely wasn’t heavy duty. Awesome tutorial. I will be using this to make my guest room curtains. Thank you. 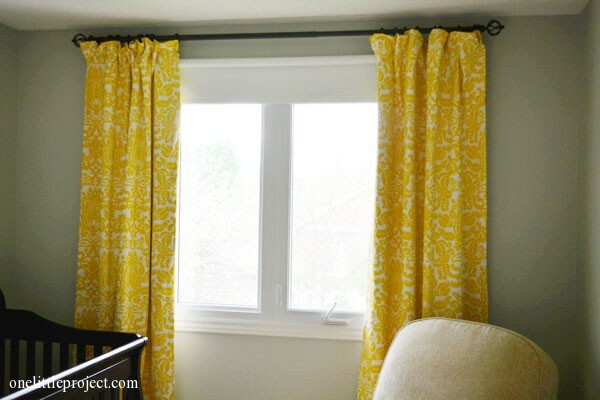 I plan on making these exact curtains but I don’t know how much fabric to order. The ceilings in my girls rooms are 9 feet tall and I think I would take the rod pretty close to the ceiling. 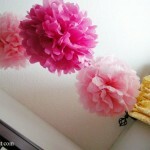 I need to make 2 sets of these curtains so that my daughters can each have them in their own rooms. 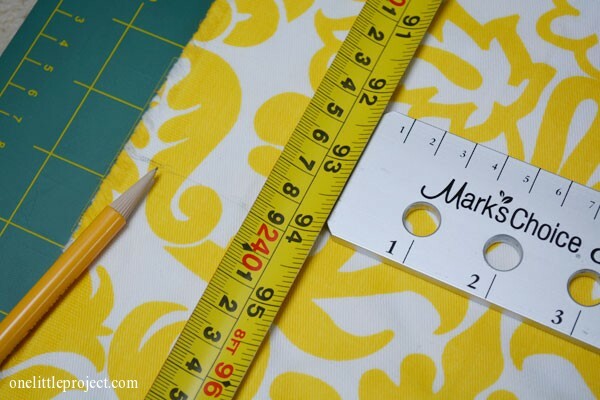 Can you help me figure out how many yards to order? I love your tip for clipping the curtain tabs on lower, so only the very top of the loop shows. 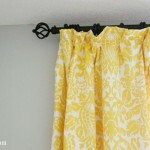 I almost bought this type of curtain clip last week but wasn’t liking the idea of all that hardware showing. You didn’t put any weights in the bottom, I noticed. 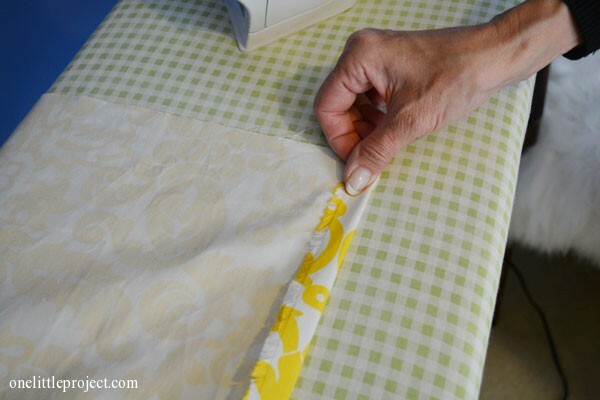 Is the fabric heavy enough that you didn’t feel you needed it? 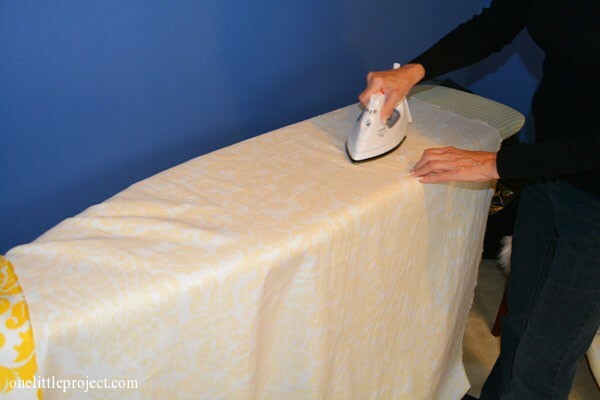 I only prefer weights (using weights from a fishing tackle box is sufficient) as it makes the curtains hang heavier, and therefore, keeps creases to a minimum. Thanks! I love the way it looks without the hardware showing too! 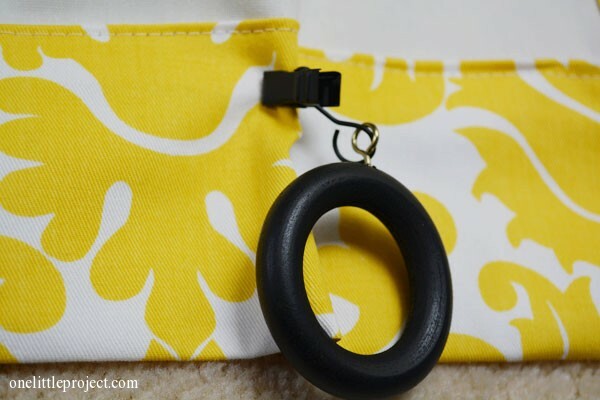 The blackout curtain material is pretty heavy so there is no trouble at all with these needing weights at the bottom. If it was only the fabric on it’s own, maybe, but they are hefty, kind of like hotel curtains. And they’re still holding up well almost 4 years later! 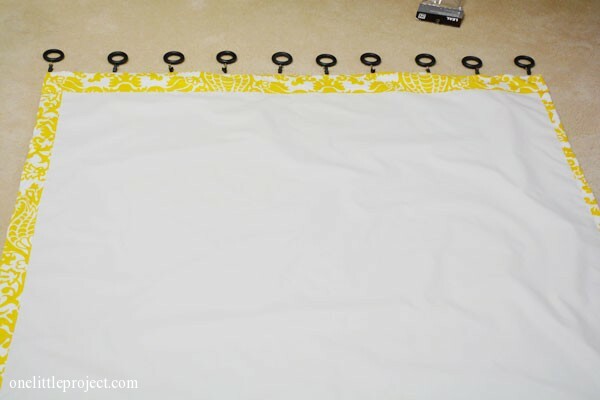 Your tutorial is very useful for me because I’m also interested to make blackout curtains for my home. Thanks a lot. I am in the process of making black out/ winter out curtains. In order to be able to wash my curtains as dust, cat hair, etc collects through the year, I decided to velcro in my blackout panels, as the blackout fabric is not washable. Your curtains came out so well! 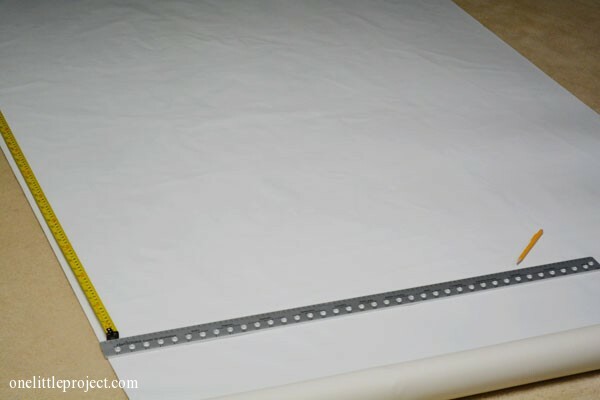 I saw that the blackout fabric’s width is 54″. I’m assuming your window is longer than 54″? 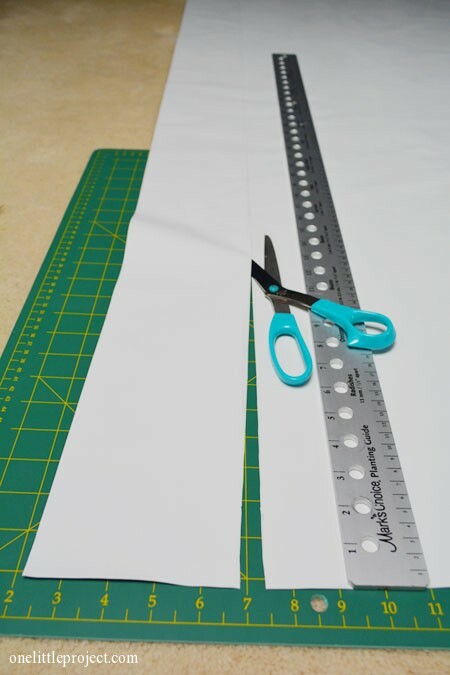 Did you have to sew the material side by side to achieve the right length?